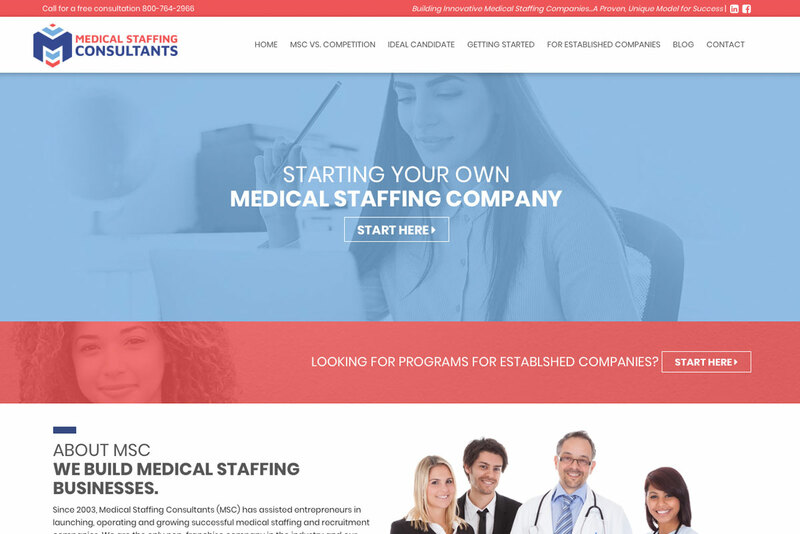 Medical Staffing Consultants has been a long-time client of Logic Web Media.  We have assisted their business with small design and development projects. 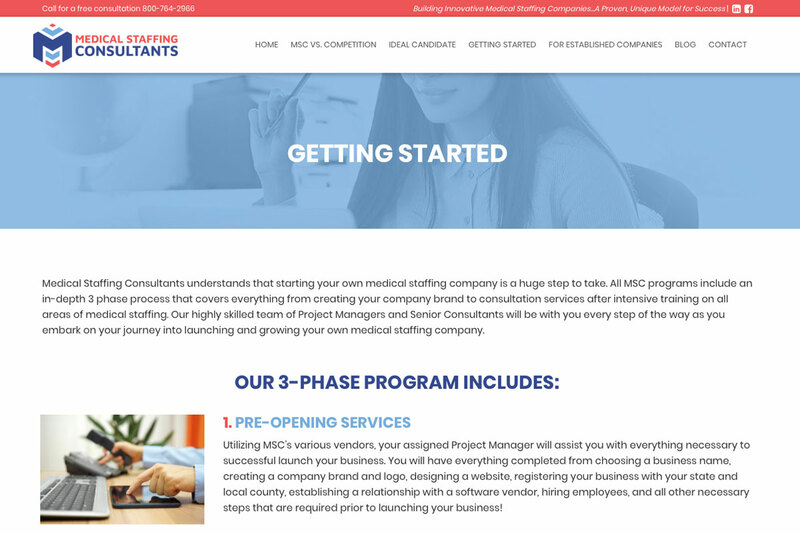 Eventually, the team at MSC realized that they needed a new website and updated branding for continued business growth. 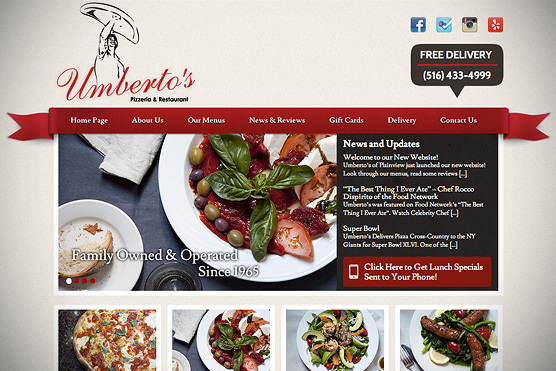 Like most redesign clients, their website was outdated and needed a modern facelift. 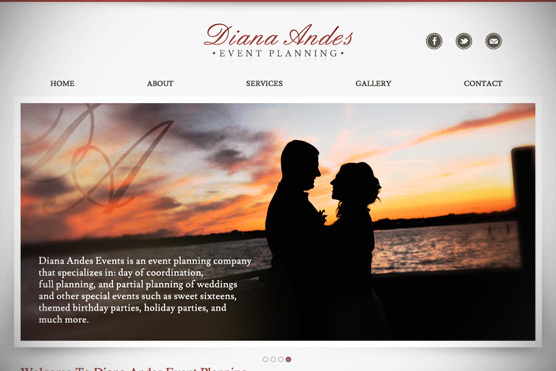 The small Long Island business works with clients all over the country, but their website did not reflect that. Additionally, their logo colors and design was not aesthetically pleasing, and affecting their overall branding efforts. 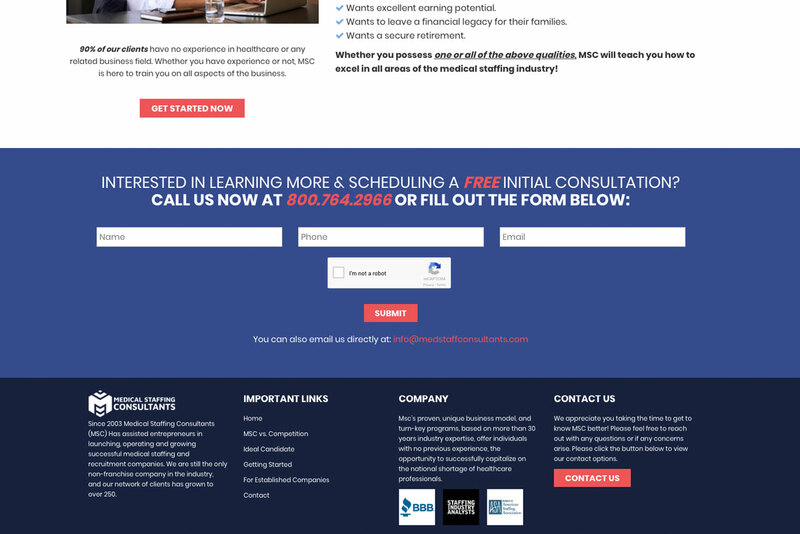 The team at Logic Web Media worked diligently with MSC in order to revamp not only the design, but the overall site layout and copy as well. We modernized the color scheme with an updated logo design, and used that concept throughout the website. Once the new branding was fleshed out, we were then able to overhaul the development and front end of the site. The team at MSC worked with our copywriters in order to organize and improve on the existing copy. 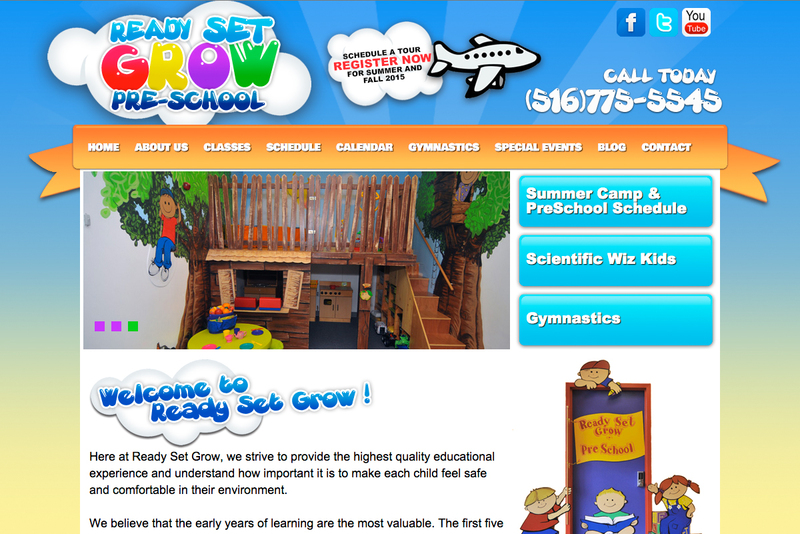 This not only made the website easier to navigate, but has improved their SEO and conversions. 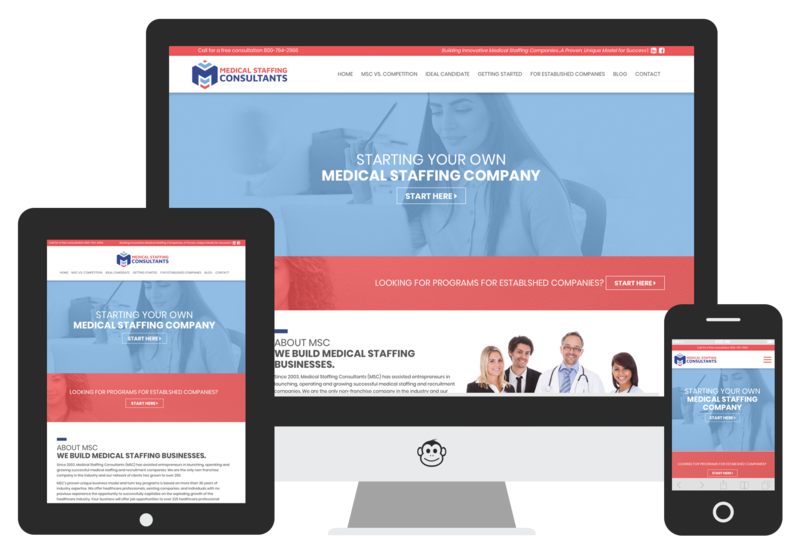 The original MSC website was not mobile responsive, and they were losing traffic. With growing numbers of people searching from a phone or tablet, this was an important focus for the redesign.